Sleeping up to six in four rooms, the Woodburg 6A has three zones for flexibility; pitch the third bedroom in the outer zone and maintain full access to the living area. 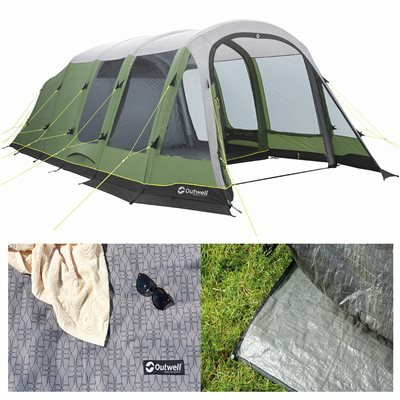 Pre-shaped airtubes maximises internal space and the many windows ensure plenty of light in the tent. Generous ventilationb throughout can be boosted by toggling up the mudflap on both sides.